The pattern has repeated itself since Partition in 1947. Every aspect of the current confrontation between India and Pakistan — which, I fear, may not be over yet — was avoidable. 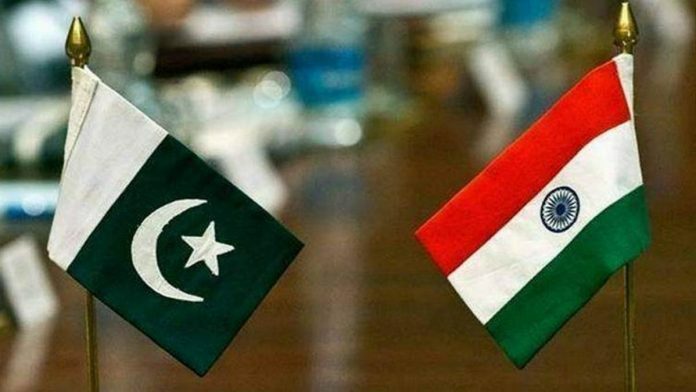 The initial attack on Indian paramilitary soldiers, in which 40 of them died, was claimed by Pakistan-based Jaish-e-Mohammed, a terrorist group which has been allowed to thrive by that country’s military establishment. The attack itself required sophisticated organization and hundreds of kilograms of explosives. Not preventing it was an Indian intelligence failure for which nobody has yet been held accountable. Pakistan is busy congratulating itself on how things have turned out so far. This is unwise and premature. Premature because there is no reason to suppose that Indian Prime Minister Narendra Modi — who on Thursday called the airstrikes a “pilot project,” implying they would be scaled up in the future — will be satisfied with anything other than the total rhetorical victory his camp followers in the Indian media have already promised voters. And it is unwise because the world’s reaction to the Indian airstrikes, unprecedented though they were, was notably unfriendly to Pakistan. Pakistani leaders — or, more precisely, the generals in Rawalpindi that really run the country — have few friends left. Even the People’s Republic of China urged only that “sovereignty should be respected” — criticism, in its way, of both sides and not just India. Meanwhile, for India, the lessons are equally stark. Its finance minister crowed in a poorly-timed press conference on Wednesday, the same day an Indian pilot was shot down, that India could now strike into the heart of Pakistan the same way the U.S. had taken out Osama bin Laden. This is an almost laughable over-estimation of India’s capabilities at this point in its development. You have to be able not just to get in but to get out, and be powerful enough to be untouchable thereafter. India has diplomatic support at the moment. But that goodwill has been bought by decades of strategic restraint and could easily be blown up by badly-planned adventurism. As for Pakistan, if it wishes to retain the autonomy of decision-making that is true sovereignty, it had better work on strengthening its economy. Too often it looks to saviors — once the Americans, now MBS and Xi — as if pumping money in from outside is a sustainable solution. Per capita income growth in Pakistan is less than half that in India; it has already been overtaken by Bangladesh, once its poor and despised eastern half. If only Pakistan focused on its economy, it would no doubt find it less and less necessary to seek self-respect though its military. While it’s true that India needs to focus on economic development but we can’t remain oblivious to the Indian lives being lost due to Pakistan. I agree that one should buy time but also we don’t need to follow Deng’s strategy. China isn’t trusted around the world due to its political system. India has very much open political system and have every warming with ties with Western nation. The Author has failed to acknowledge Indian clout that OIC has invited India as a Guest of Honour despite Pakistan not attending in protest. So to say that we don’t have leverage in diplomacy and whatever leverage we have is because of 70 years is wrong! Things have dramatically changed in our favour during Modi’s five years rule vis-a-vis our relations with Gulf states. It’s by means no small accomplishment and author shouldn’t ignore it.